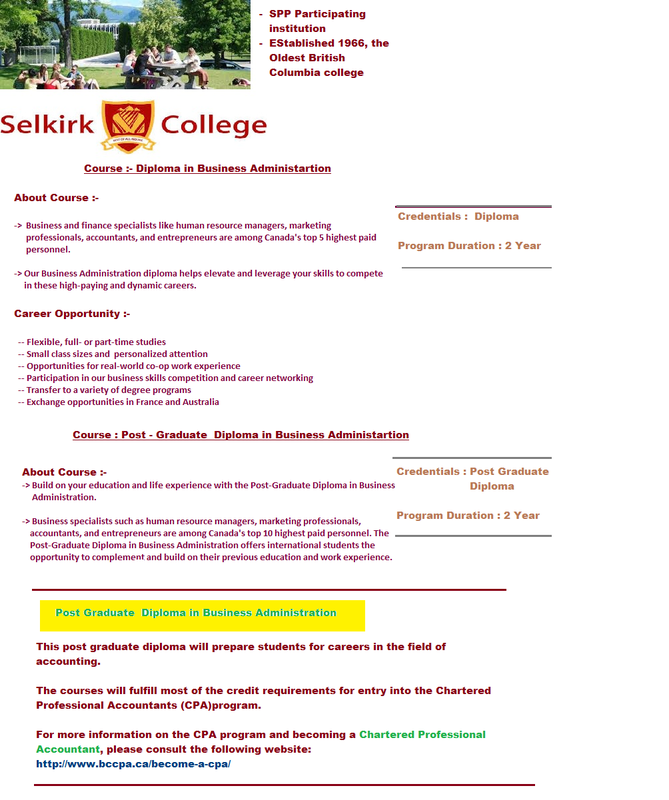 OM VISA Consultancy - Global Immigration, Students, Visitor, Business & Work VISA Consultants: Study with Selkirk College of Canada which is located in British Columbia. Get 2 year of Post graduate diploma program in Business Administration. Study with Selkirk College of Canada which is located in British Columbia. Get 2 year of Post graduate diploma program in Business Administration.